Being a digital marketer has become a task in today’s world. Customers, today, are used to being catered to with personalized messages on their email or phone and that just makes the process of data collection a cumbersome one altogether. If your message does not appeal to your customers, do not expect any conversions. In order to figure this out, data collection is necessary. Once that data has been gathered, it needs to be analyzed and interpreted in an effective way. It doesn’t make sense if this data is collected and not put to good use. The information collected can be used to build customer profiles and define customer segments. Based on this data, marketers can create content that appeals to the audience on a personal level. Sounds easy? But, do you know where to begin? You start by crafting a data collection strategy. Assemble a data collection and content plan that involves regular virtual interaction with the audience to be able to understand what entices them best. You do this by monitoring the rate at which customers visit your page and track their movements there or how often they download your form and the likes. However, the question of how far this process should go comes to play. You cannot interfere with your customer’s day-to-day functioning by constantly poking them with questions as that would be a major turn-off. Yes, collecting information is a necessity, but not at the cost of leaving customers miffed. Find that balance and proceed. To delve into this complex data-driven marketing world, you need to partner with the best website content strategists to keep a tab on this dynamic realm of customer-specific information. Once this happens, you will get a clarity on how data-driven marketing strategy works wonders for brands. The significance of setting solid objectives for data-driven marketing strategies is crucial. This list, unfortunately, does not end here. There will be a longer array of issues faced by marketers, but this is a definite set of obstacles that usually pop up. Here is another tough decision marketers must come across. As a marketer, it is crucial to have a substantial knowledge of all the platforms effective for data-driven marketing. In fact, these channels are a path to executing the objectives. The best channels include social media, websites, mobile apps, email communications and more. With time, these channels are only getting more effective at data collection. A ray of hope, after all. 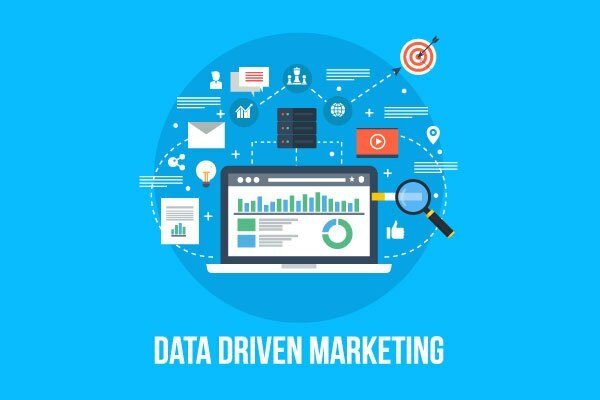 In conclusion, data-driven marketing is significant; so important that the marketing objectives revolve around adopting additional data-driven approaches. Still struggling? Fear not, for you are not alone. Many marketers face these challenges regularly and are putting everything together to overcome them. Like everything else, practice makes the art of data-driven marketing perfect.